1956 Revolution Statue in the Nation's Capital! AHF Turns 100! A Centennial Call for Membership! 2006 Dues due! Hungarian American wins GOLD in Torino! CA: Dr. Istvan Tuba publishes, "The Third Resource: A Universal Ideology of Economics; A Tribute to the 1956 Hungarian Revolution." 2/18/2006 - Hungarians Abroad voting in Hungarian Parliamentary Elections for the first time... Dr. Janos Horvath, on US Tour to help voters understand the procedures as DEADLINE approaches. 2/22/2006 - AHF encourages all to participate in Janos Horvath meeting in Washington DC! The Hungarian Reformed Federation of America invites all to the Kossuth House to discuss the upcoming elections in Hungary and the opportunity for Hungarian citizens living in the United States to participate in the elections. When? March 1, 2006 at 6:30 p.m.
1956 Statue in the Nation's Capital... AHF's 1956 Commemoration Committee is seeking your help to erect a statue in Washington, D.C. devoted to the heroes of the Hungarian Revolution. The AHF plan calls for an actual-size statue to be placed prominently in Washington while we raise funds for its bronze replacement. Seen here, renowned sculptor Gyuri Hollosy unveiled his prototype design at the AHF meeting last April. Help us! 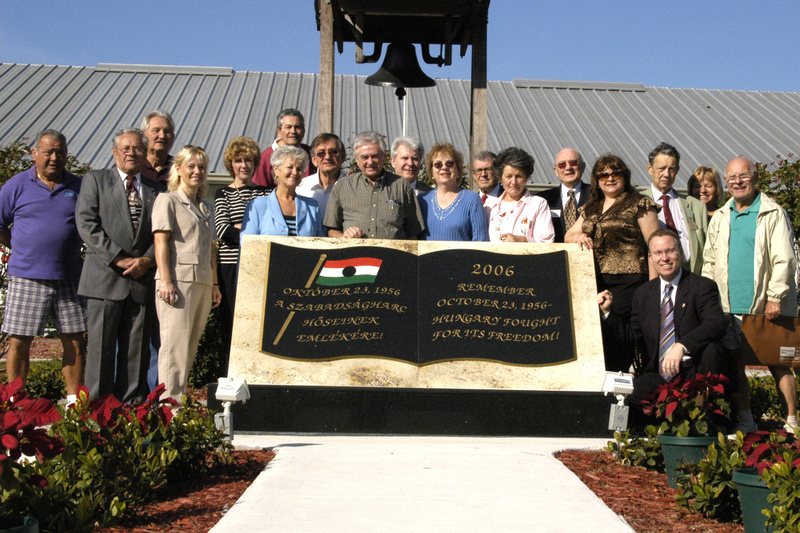 Contact bryandawson@americanhungarianfederation.org and join the 1956 Commemoration Committee! Chartered by Congress in 1896, HRFA, a fraternal organization offering life insurance and financing, is one of the Hungarian-American community's most important and enduring organizations. 1/22/2006 - Baltimore Reception to raise funds for Freedom Dance: The Movie - an animated film about the 1956 Hungarian Revolution. About 40 people gathered to meet Edward Hilbert, Steven Fischer, and Craig Herron and to hear more about their remarkable film project. The artists are selling original artwork and stills from the film to raise funds for the film which is near completion. Based on the actual drawings by Edward Hilbert, child star of "Meseauto," the film chronicles Edward's experiences as freedom fighter and refugee. The Hungarian Embassy's Károly Dán and AHF Vice President Bryan Dawson-Szilagyi gave speeches supporting the film and honoring the heroes of 1956. [read Bryan Dawson-Szilagyi's Speech] or [read more] about Freedom Dance. Continuing news - AHF providing free Websites on the 1956 Portal (www.hungary1956.com) to member organizations as they prepare for the 50th Anniversary of the Hungarian Revolution. If you know of any organization or group planning events for the commemoration of 1956, please contact us. The American Hungarian Federation is sponsoring the 1956 Portal as part of its goals to coordinate and assist member organizations across the country. Note: You will need the free RealAudio Player to see these videos. Click [here] to download. OR search on your own! It's time to work together. JOIN AHF online! Szerbiában egyelõre várat magára a II. világháborút követõen vagyonuktól megfosztottak kárpótlása. Törvény még nem született a kártalanításról, de egy jogszabály tavaly nyár óta érvényben van, melynek értelmében 2006. június 30-áig a kárvallottaknak vagy leszármazottaiknak be kell nyújtaniuk a Szerb Köztársaság vagyonjogi igazgatóságának az ellenszolgáltatás nélkül elvett vagyonuk visszaszármaztatására vonatkozó igényt, a megfelelõ dokumentáció kíséretében. Hungarian American Wins Olympic Gold! Not that long ago, Ted Ligety was everything Bode Miller is not: unknown, unsponsored, unaccomplished. Laszlo "Laz" Buda is the son of Hungarian immigrants and is a native of Cleveland. 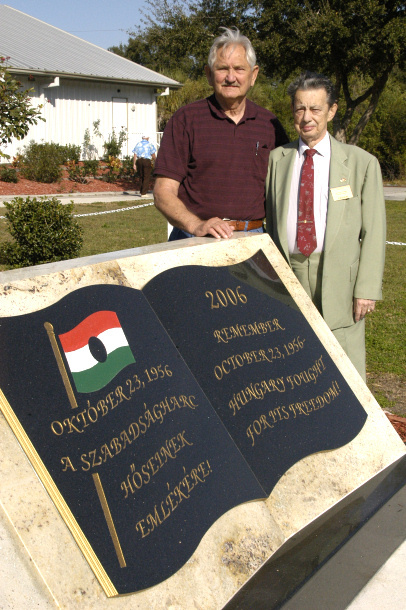 Laszlo is Chairman of the Friends of United Way-Hungary Committee and active in the Cleveland Hungarian community regularly reciting poems at the 1848 and 1956 commemoration events. He successfully co-led the fundraising efforts for "Hungarians for the International Childrens Games" (HICG) which brought over 110 teen athletes, coaches, and officials from seven Hungarian cities to Cleveland and Washington DC in August 2004. 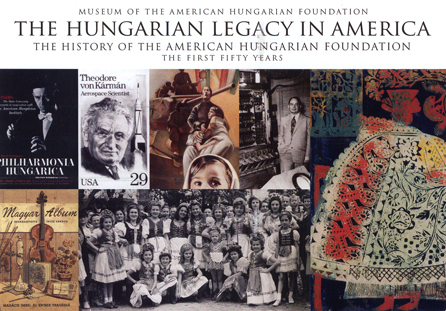 "The Hungarian Legacy in America,” an exhibition presenting the 50 year history of the American Hungarian Foundation opens with a reception on Sunday, February 26, 2006, at 2:00-5:00 p.m. in the Museum of the Foundation, 300 Somerset Street, New Brunswick, NJ. The exhibition runs from February 26 through March 26 and presents the documentary and pictorial record of the Foundation’s 50 years. First shown last September in Budapest, Hungary, the exhibition there was part of the three day international academic conference commemorating the 50th anniversary of the Foundation at the National Széchényi Library. The American Hungarian Federation recently added $1000.00 to its effort at raising funds to the Hungarian Scholarship Fund that supports ethnic Hungarian students in the successor states in the Carpathian Basin. The Federation gave $5000.00 in 2005, and needs your support to surpass that number. Known as the "Professor Paprika," Bela Bognar grows and sells paprika to raise money. [read more] about the Hungarian Scholarship Fund. Dr. Gabor Garai, Honorary Hungarian Consul in Boston, is planning and exhibition that aims to educate the public about the 1956 Hungarian Revolution. The Prudential Center agreed to provide an well-trafficked area for the display. Planned is a photo exhibit and other artifacts. The Third Resource: A Universal Ideology of Economics; A Tribute to the 1956 Hungarian Revolution. The universal Tuba Doctrines will revolutionize man's thinking about world economics (2005). We've reached the $6500.00 mark! Who is giving to the Disaster Relief Fund? AHF would like to publicly say "thank you." Click here to see and then join us to help our community! PRIVACY NOTICE: AHF will not share its mailing list with anyone...Period. AHF also uses this list SPARINGLY. The American Hungarian Federation does not necessarily endorse the content or opinions found in the external sites found this eNewsletter..